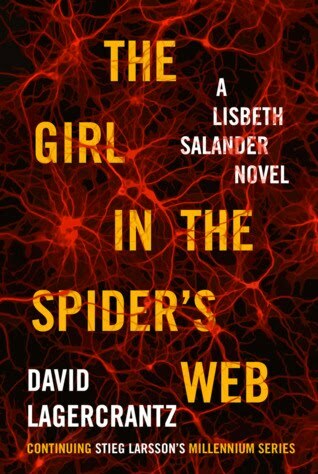 This entry was posted on Tuesday, April 24, 2018 and is filed under Book Review,David Lagercrantz,Fiction,Steig Larsson,The Girl in the Spider's Web,The Girl With The Dragon Tattoo,Thriller. You can follow any responses to this entry through the RSS 2.0. You can leave a response. I am glad to hear you enjoyed this. I loved the trilogy but always hesitate when a new author picks up the pen. I was pretty surprised when they announced they were continuing with a new author. I definitely recommend starting with the original trilogy first, if you haven't already read them. Even though the author has changed it sounds like you still really did enjoy this continuation of the series. It sounds different but not overly different, and it still worked. I didn't realise there had been such a battle before the author went ahead continuing the books. It got pretty ugly. I'm happy that the characters get to live on though.